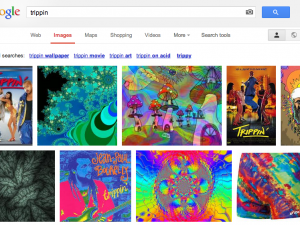 In this essay, we will be discussing the semantic changes found in the word tripping by comparing the changes in its meaning over time. In particular, we will chronicle the evolution of this word by exploring the historical usage of tripping [trɪpɪŋ] and its root morpheme trip (v.) as far back as the 1300s, its references to drug culture in the 1960s, and its modern usage in American hip-hop culture from the 1980s until now. Throughout the essay, we will analyze the word’s lexical and semantic change in context of the given time periods. I write this piece today, not only to commemorate the first day of voting for UC Berkeley’s ASUC (Associated Students of the University of California) elections, but to take a moment to appreciate the journey, the people, and the experiences that have taken me to this point. I want to record this next chapter in my growth of being not only a student, but someone who will continue to push for change on our campus and in our society. 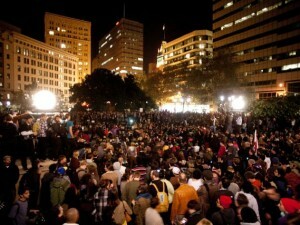 OccupyOakland: I am Martin Luther King Jr. I am so proud of my city of Oakland. I felt this incredible energy yesterday at the OccupyOakland general strike that is unparalleled, unrivaled by any other mass of people I have ever seen. An overwhelming majority of the people were kind, were peaceful, and were hopeful. Above all, however, they were empowered — empowered with the idea that they could actually do something to change the course of this country around. My own hope is that this energy I felt last night is sustained into a movement that will bring change to our world for generations to come. I still miss Steve Jobs. It has been a month now since he passed away, but I still feel this huge hole, this dark void, in my life. Even though I never actually ever met Steve before, I have always wanted to shake his hand, give him one of those high fives from the side, pull in, pat on the backs, and tell him what an influence he has been to my life. 1and1 and WordPress: “500″ error fix! This file dictates how much memory you will be allocating to your WordPress installation. After that, your WordPress isntallation should start working again! What is up with LinkedIn’s user interface? Today, I spent an hour of my day cleaning up the mess that LinkedIn’s auto-invitation program has made. I honestly think that this program has really tarnished my name by making me look like a complete idiot. Here is my account of what happened.